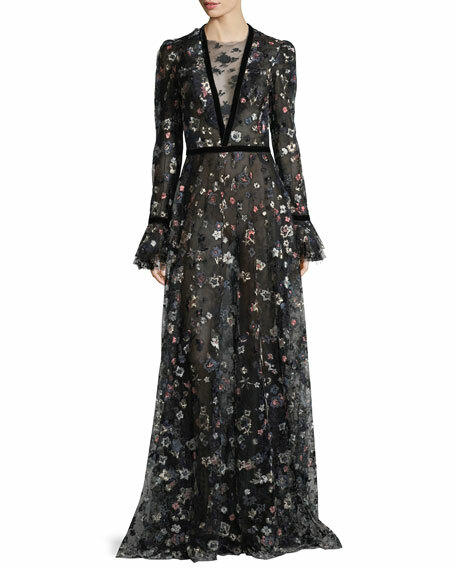 Monique Lhuillier floral-embroidered mesh gown. Round neckline with deep V illusion inset. 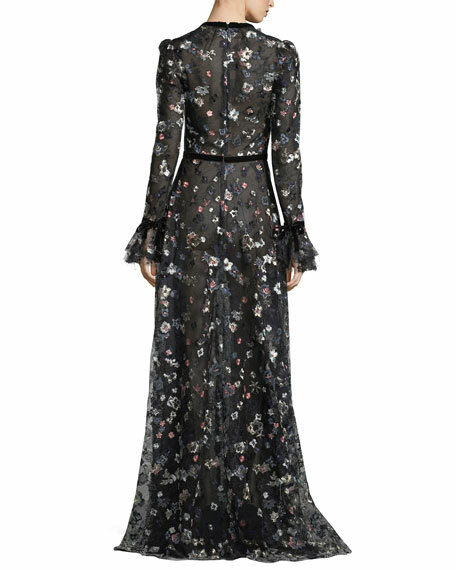 For in-store inquiries, use sku #2215359. 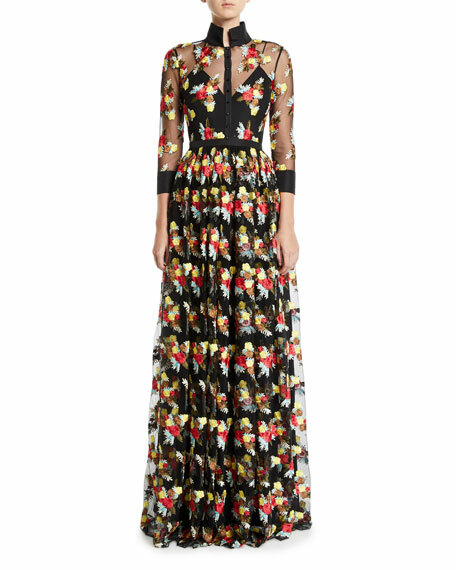 Halston Heritage embroidered gown with sheer overlay. 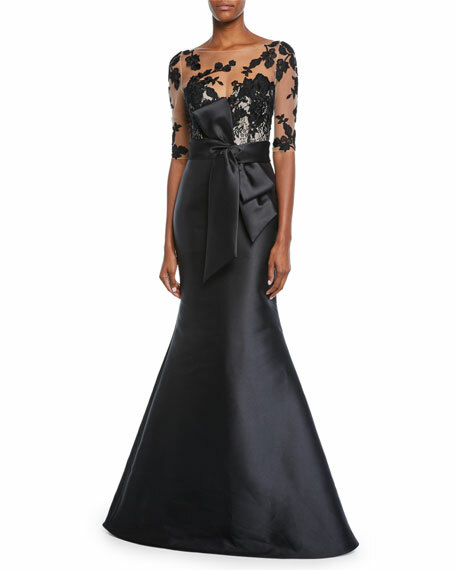 Round neckline; sweetheart illusion; button-keyhole back. Short cap sleeves; sheer yoke. Floral embroidery. A-line silhouette. Hidden back zip. Mini illusion. Floor length. Polyester. Dry clean. Imported.